To Alexis Hunter, artist. From Beatrice Davis. 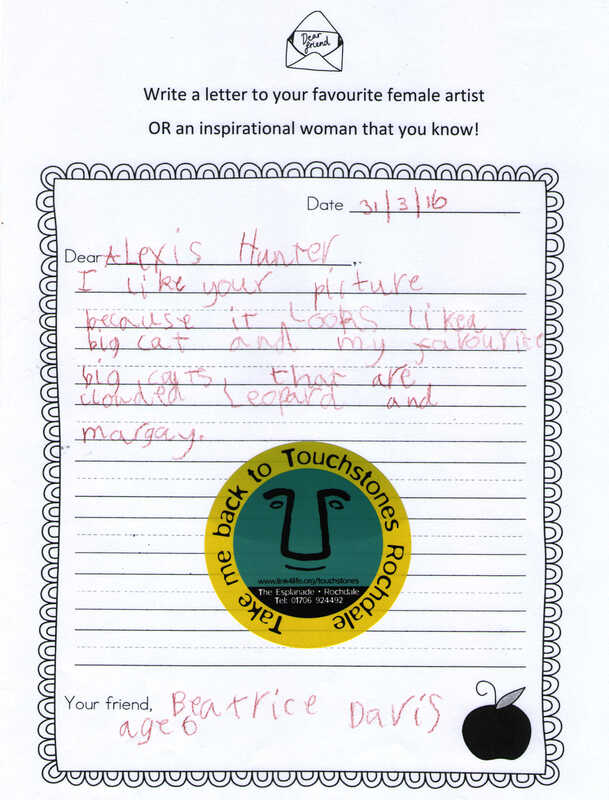 Dear Alexis Hunter, I like your picture because it looks like a big cat and my favourite [are] big cats, that are called leopard and margay. artist. Born 1948, died 2014. More information about Alexis Hunter.